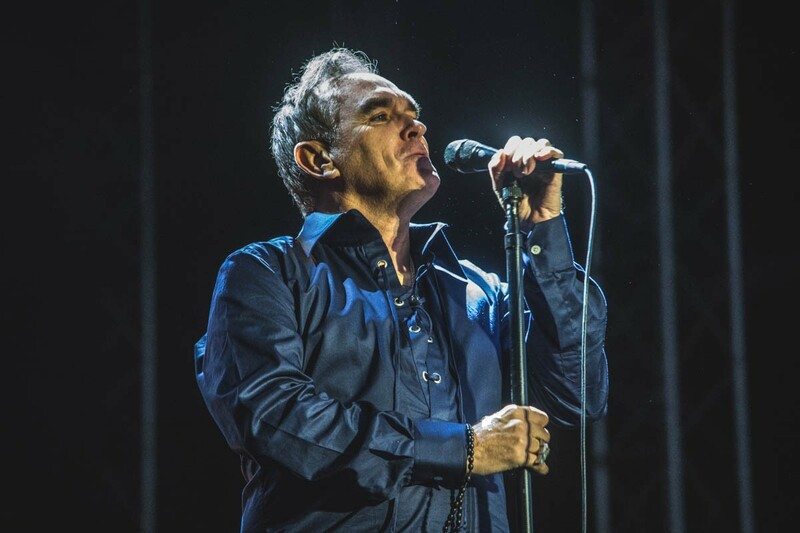 As Morrissey embarks on a UK tour, Getintothis‘ Matthew Crist asks if there is anything new about old big mouth’s opinions and if he’ll strike again. It’s difficult to move at the moment without stumbling across yet another revisionist rant about how Morrissey has gone too far with his various political views and outspoken opinions – but here’s a newsflash for you: it’s nothing new, he’s always been like that and probably always will be. Controversial? Yes. The ramblings of a lunatic who has lost the plot? Absolutely not and anyone who has followed the singer’s colourful career will know why. From the moment the Old Trafford lad burst onto the scene in the early 1980s, complete with hearing aid and gladioli in his back pocket, Morrissey’s MO has always been to cause controversy, upsetting people at every opportunity and being utterly contentious wherever possible – that’s why so many of us loved him and why so many people are still fascinated with everything he does. 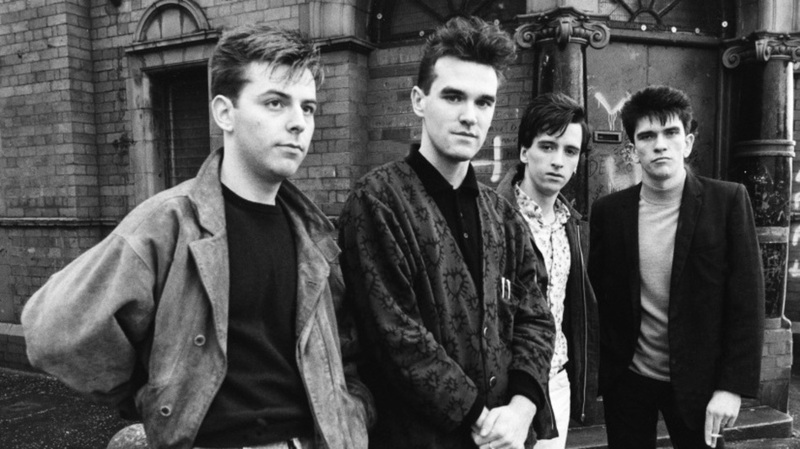 And when The Smiths were fast becoming one of the most influential bands in the world it was as much down to the views and opinions of their outspoken lead singer as the catchy tunes and meaningful lyrics about everything, from lost love to unemployment. Of course back then the targets were more defined and dare we say more legitimate? A ruthless right wing government that appeared to be waging war on Morrissey’s native North West, the Royal family, the meat industry, even the headmaster from his local comprehensive. But Morrissey has never been one to let the grass grow and subsequent years have brought with them even more recipients of his ire, not just in terms of his music, but his equally influential and prickly press interviews too. ‘I don’t really think, for instance, black people and white people will ever really get on or like each other’ he would tell Q Magazine in 1992, the very same year (coincidentally?) that his new album Your Arsenal was released which included the lines ‘England for the English’ in the song National Front Disco. Yet despite a very public spat with the NME, who took him to task on his views over a number of weeks, there was very little in the way of public outrage, with most people putting it down to Morrissey just being, well, Morrissey. Around the same time he claimed that ‘The French will never like the English, and the English will never like the French, the Channel Tunnel will collapse.’ But unlike the furore that met his recent support for Brexit and liking of UKIP’s Nigel Farage there were few fans wishing to turn their backs on the singer or refusing to listen to his music ever again. In fact you could argue that his recent comments on the same subject (‘I nearly voted for Ukip. I like Nigel Farage a great deal, his views are quite logical, especially where Europe is concerned’) are rather more considered than they were 20 years previously. 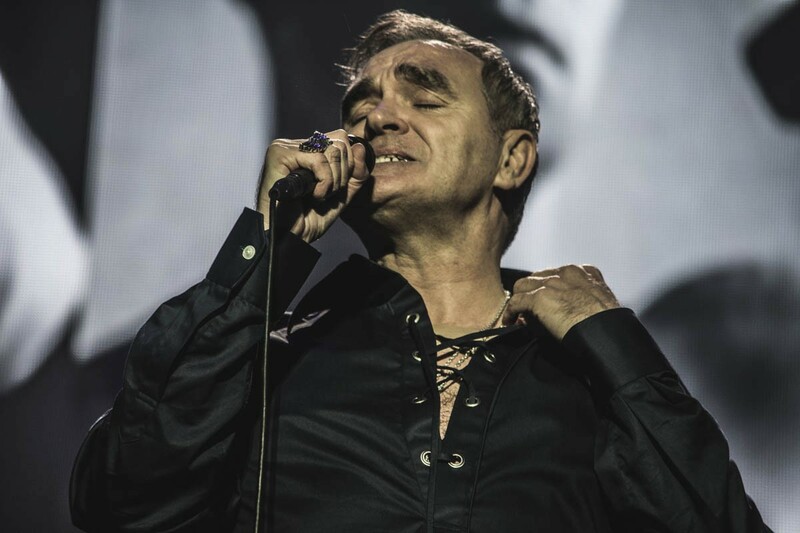 What made the cut in our Morrissey Top Ten? He subsequently sued the magazine for defamation following the piece, entitled Bigmouth Strikes Again accused him of harbouring racist views and was awarded £28,000 which he donated to Love Music Hate Racism. ‘I abhor racism and oppression or cruelty of any kind’ was his response. Put simply Morrissey has always thrived on being anti-everything and pro-nothing, whether that is religion, politics, the media, sport or anything and the fact that he refuses to align himself with any specific beliefs or back any particular political party leaves many people confused and at a loss to know how to feel about what he says. In his 2013 autobiography he talked of being taken to Old Trafford as a child to watch Manchester United and a young George Best (‘I see the apocalyptic disturber of the peace swirl across the pitch, I faint. Squinting in the sun it is all too much for me’) yet while touring for much of the late early 2000s he wore a West Ham United shirt on stage. He was championing Barack Obama long before most people had even heard of the then Illinois Senator and by the time the rest of the universe – including many of his fans – were heralding him as the ‘saviour of the western world’ Moz himself had turned his sights well and truly on the future President of the USA. Yes, many people are uncomfortable with some of his recent views, but this is a man who called two of his albums, The Queen is Dead and Meat is Murder, should we really be surprised that he loves nothing more than flirting with controversy and upsetting the applecart? That’s the danger of pinning your hopes and dreams on someone who is never prepared to reveal their inner feelings or beliefs and there is no one better than Morrissey at keeping people guessing. One minute it feels like he represents everything you believe in, the next you’re shaking your head in disagreement if not disbelief. The general perception today is that Morrissey has become an over-inflated, narcissistic, spiteful and barbed pop star, but he was all of those things back in the 1980s, it’s just that nobody really noticed or chose to ignore it due to the fact that what he was talking about probably rang true with them. 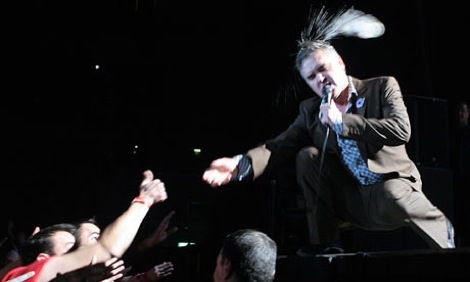 In a recent lament to a lost idol, former Gene front-man Martin Rossiter penned a piece for online magazine The Quietus entitled: Why Morrissey is Dead to Me in which he called out the singer for his unorthodox views, while claiming that his words are, ‘vague enough that he could claim he’s been misunderstood.’ Is he not missing the point here though? However, a video address to his fans just before Christmas suggested Morrissey might just being feeling the impact of his actions as he blamed the relatively poor chart performance and less than enthusiastic reviews of his latest album, Low in High School on what he describes as ‘the haters’ in the press. So could it be that Moz has learned his lesson? Is he becoming a little more sensitive in his old age? Does he regret his recent comments and the reaction they have brought? Don’t be daft. This is the man who said in 2015 that he’d never tour in the UK again, yet three years later is about to play 11 sell-out shows on these very shores. Quite simply Morrissey thrives on being contrary and that doesn’t always involve pleasing people. But as the quiff has greyed, the waistline has expanded and the music has disappointed, the only thing that has really remained consistent is his ability to shock – and as long as that is the case he will remain relevant.